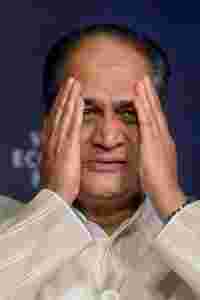 New Delhi: In response to a call by Finance Minister P Chidambaram to the auto industry for cutting rates, Bajaj Auto Chairman Rahul Bajaj said that there is no scope for price reduction in the two-wheeler industry in the near future. “The two-wheeler industry is not like other industries where the margins are 30-35%. This industry has a margin of about 4-5% only and in the near future we do not see any price cuts," Bajaj said on the sidelines of the India Economic Summit. Chidambaram earlier in the day had asked for a price reduction by car and two-wheeler makers to stimulate demand. Bajaj said that the price reduction was not the solution to the problem faced by the two-wheeler industry, adding that the main issue of credit availability to consumers still remains unaddressed. Expressing a contrasting view to that of Chidambaram, who stated price-cut would result in increasing market share, Bajaj said: “If everybody cuts price then how would the market share of one company increase." Banks need to cut interest rate for customers so that they can make new purchases, he said adding that excise duty reduction is not going to solve the problem. Asked specifically if Bajaj Auto would be willing to take the first step in cutting prices, he said: “Baja Auto, like every company in the industry, would respond to market- comparative situation as it believes that there is no reduction in interest rate as far as my customers are concerned." Hitting out at banks for not lending to customers, he said: “Public and private sector banks are not lending to potential buyers of two-wheelers."